TIGERLIM.COM: World Largest Digital Camera??? 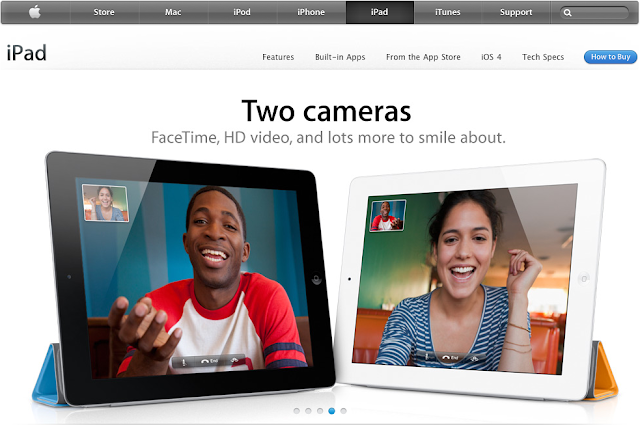 hahahahah finally the Apple has release their iPad 2 and also is the world biggest and largest digital camcorder and camera..... Awesome!!!! I can't wait to see someone using this Ah-Pad taking picture and video.... mahai like takut people don't know you are taking picture there...hahahah so Kiasu!!! Few months ago there is an Korean director using iPhone 4 to make movie now I think he can use this iPad 2 to continue his movie now.. bigger screen, better longer battery life, faster speed with the dual-core A5 chip. click here to watch the Apple Special Event.